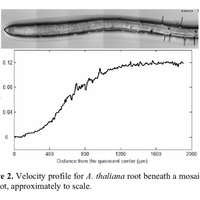 7 Publications by "T. Baskin"
To understand how root growth responds to temperature, we used kinematic analysis to quantify division and expansion parameters in the root of Arabidopsis thaliana. Plants were grown at temperatures from 15 to 30C, given continuously from germination. Over these temperatures, root length varies more than threefold in the wild type but by only twofold in a double mutant for phytochrome-interacting factor 4 and 5. 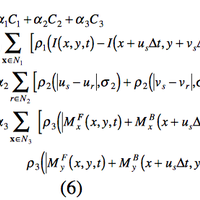 For kinematics, the spatial profile of velocity was obtained with new software, Stripflow. We find that 30C truncates the elongation zone and curtails cell production, responses that probably reflect the elicitation of a common pathway for handling severe stresses. Curiously, rates of cell division at all temperatures are closely correlated with rates of radial expansion. 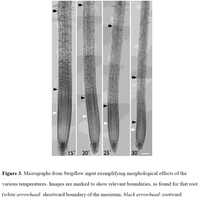 Between 15 to 25C, root growth rate, maximal elemental elongation rate, and final cell length scale positively with temperature whereas the length of the meristem scales negatively. 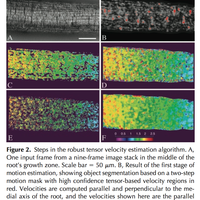 Non-linear temperature scaling characterizes meristem cell number, time to transit through either meristem or elongation zone, and average cell division rate. 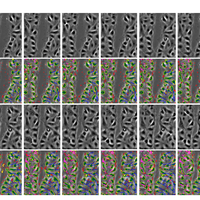 Surprisingly, the length of the elongation zone and the total rate of cell production are temperature invariant, constancies that have implications for our understanding of how the underlying cellular processes are integrated. X. Yang, G. Dong, K. Palaniappan, G. Mi, and T. I. Baskin. Temperature-compensated cell production rate and elongation zone length in the root of Arabidopsis thaliana. Plant, Cell & Environment, December 2017.